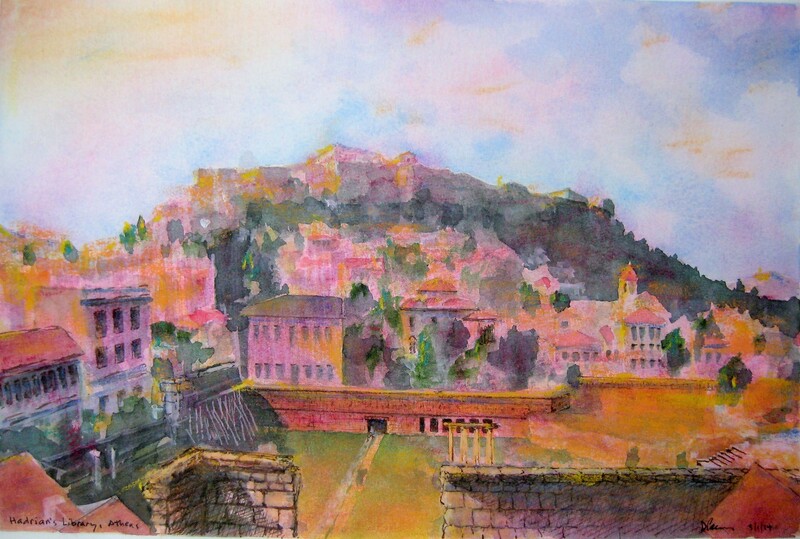 A new epoch of public diplomacy is revealed as United States Ambassador to the Hellenic Republic (Greece) David D. Pearce illustrates the Acropolis in bold watercolor strokes of color and shares them over social media. Art transcends time, languages and nations. Imagine the vast expressions of the human experience: a hand print on a cave wall, a stack of rocks, tales told from one generation to the next, a melody, a dance, manuscripts, and masterpieces both impermanent and immoveable. Each renders time irrelevant and secures the immortality of human emotions, endeavors, and accomplishments. The creative process can be challenging, unpredictable and revealing, not only of the moment being recorded but also revealing of the nature of the creator. It is a humbling risk to expose one’s talents, skills and observations while juggling with the judgmental ego of perceived perfection. Does a statesman’s art matter? Pearce (@daviddpearce) is a native of Maine and, early in his career a foreign correspondent in Europe and the Middle East. He has had a long and distinguished career in the Foreign Service, including service in Afghanistan, Algeria, Syria, Iraq, Rome, Kuwait, and Jerusalem. 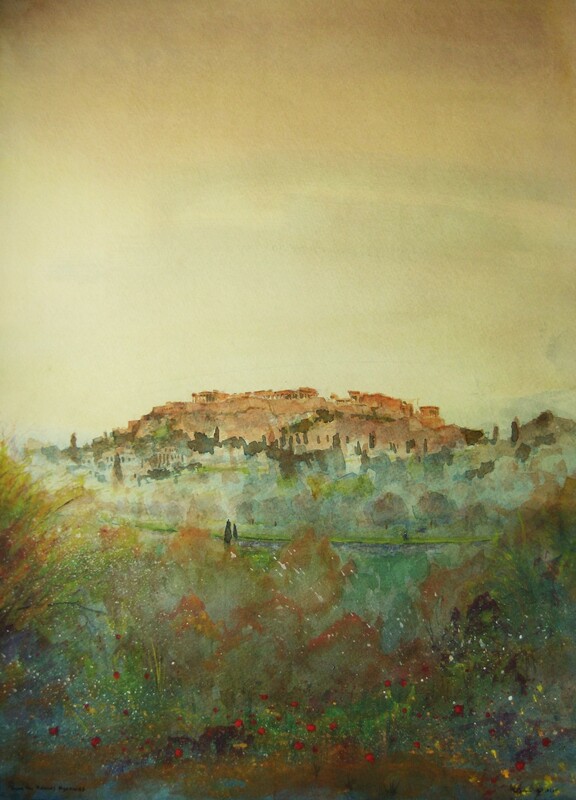 In late 2013 Pearce began to use Twitter and share his watercolors of the Acropolis, the icon of world heritage that has over the centuries inspired numerous artists, architects, diplomats. 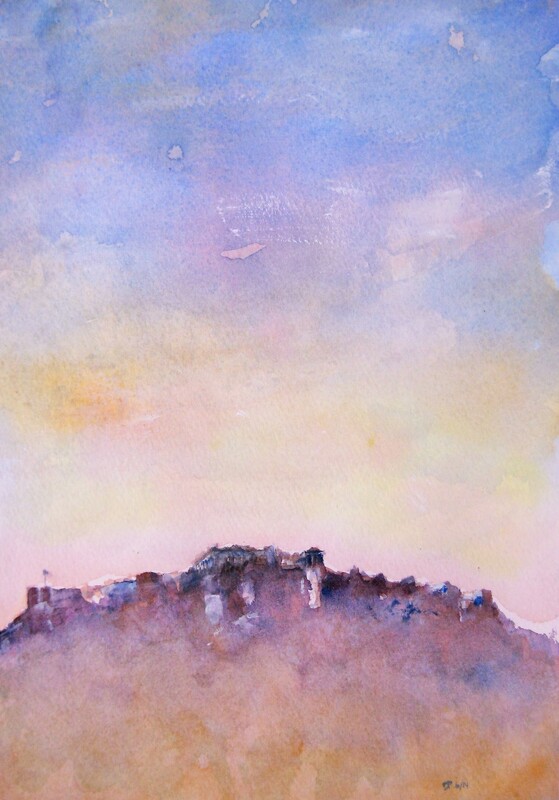 Pearce’s watercolors are vibrant, rich, and kinetic, evoking the legacy of the Acropolis that has entranced so many before in times of enlightenment, peace, war, abandonment, and, even in despair as pollution slowly eroded the luminous monument. With skilled brush strokes of cadmium, cobalt, or magenta, Pearce has secured another vehicle for a strong dialogue and respect between the countries. 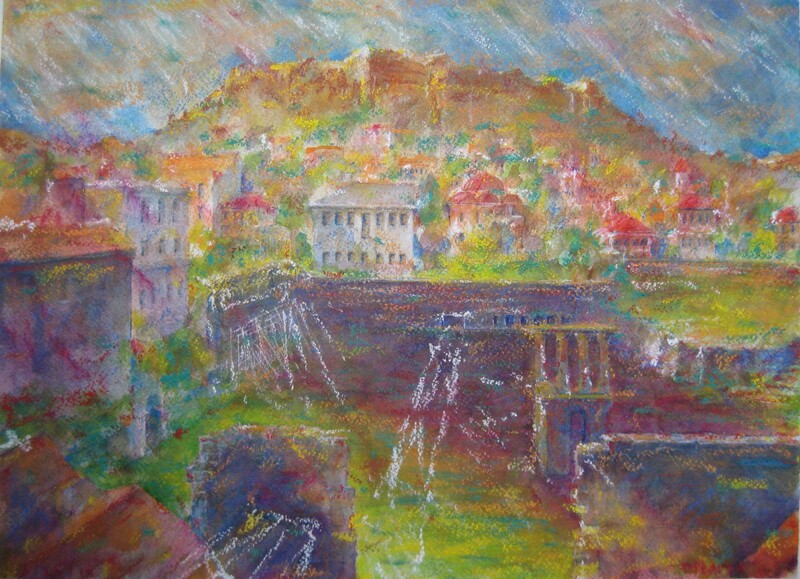 Below are a series of paintings of the Acropolis from his private collection. His paintings are not available for purchase, at this time. 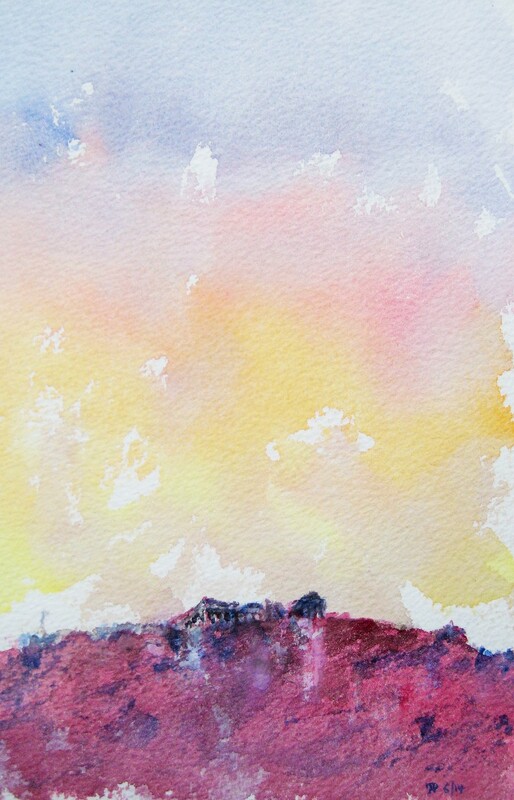 When asked his thoughts on how the creative process of working with watercolors inspires or affects his role as a foreign policy leader, Pearce responds, “Well, first, I simply enjoy the process, the zen of it. It clears the mind. 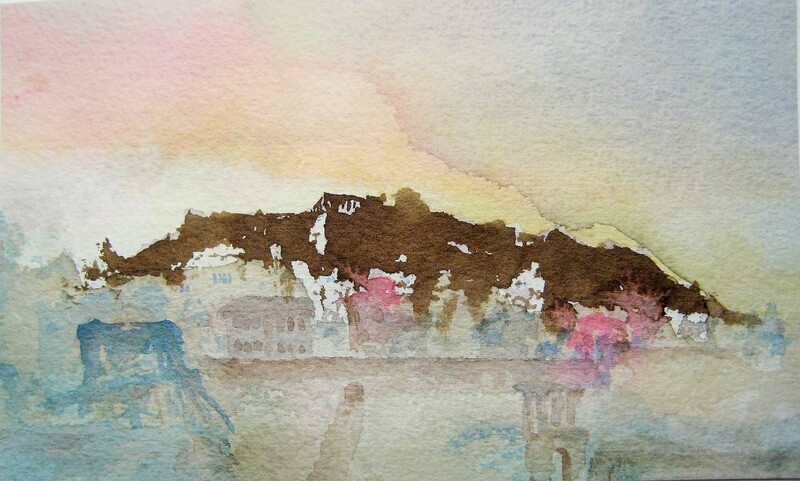 When I am drawing or painting I am not thinking of anything else. All the cares and pressures of the day job are put aside. Second, I guess it would be fair to say that I am both introverted and extroverted (a Gemini, if that matters to anyone!). Pearce authored Wary Partners: Diplomats and the Media more than 20 years ago “as a manual for practitioners – what are the ground rules, how to judge a reporter, how can a government official help or not help a reporter.” In retrospect, Pearce offers a unique perspective on foreign policy reporting and current world events having worked in the then mainstream media as a reporter and now as a diplomat. The United States established diplomatic relations with Greece upon its independence in 1868. 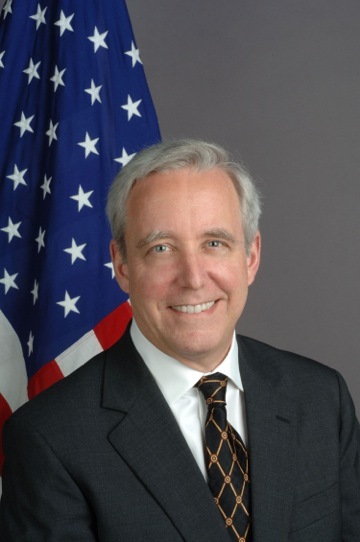 Pearce is the 46th US Ambassador serving in Athens. On his impression of being an American in Greece today, he shares, “It is a great honor to be here. The relationship between the United States and Greece is long and deep, and you feel this everywhere. Across the street from my residence is a monument to the Americans who fought in the Greek War of Independence. Everywhere I go I am humbled, startled even, by the extraordinary respect accorded to the U.S. Ambassador to Greece. For me, as a former Classics student and wannabe archaeologist, it is a dream job, like being in the candy store. When asked what has been the biggest surprise being in Greece, Pearce responds with, “I suppose it would be just the absolutely stunning physical beauty of the place. Everywhere you go – north to the mountains, south to the Peloponnese, east or west to the islands — is spectacular. You can’t go wrong. And I have found it matched by extraordinary, and genuine, warmth and hospitality. Digital diplomacy through authentic, personal and informed exchanges ushers in a new era of global foreign policy and relations. 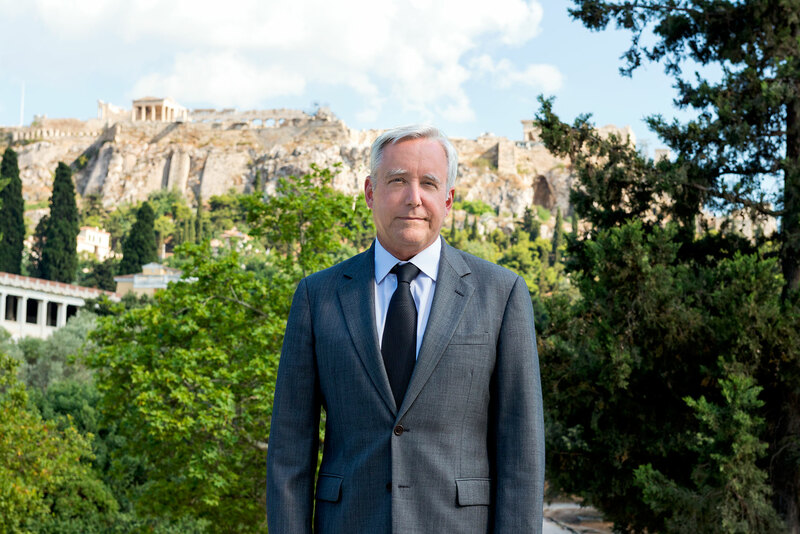 Pearce brings forward this next generation of diplomacy as an American statesman, through his use of social media and his art of the Acropolis. By Keri Douglas, founder and publisher of 9 Muses News on new trends in art, business and innovation. Copyright protected. All rights reserved. 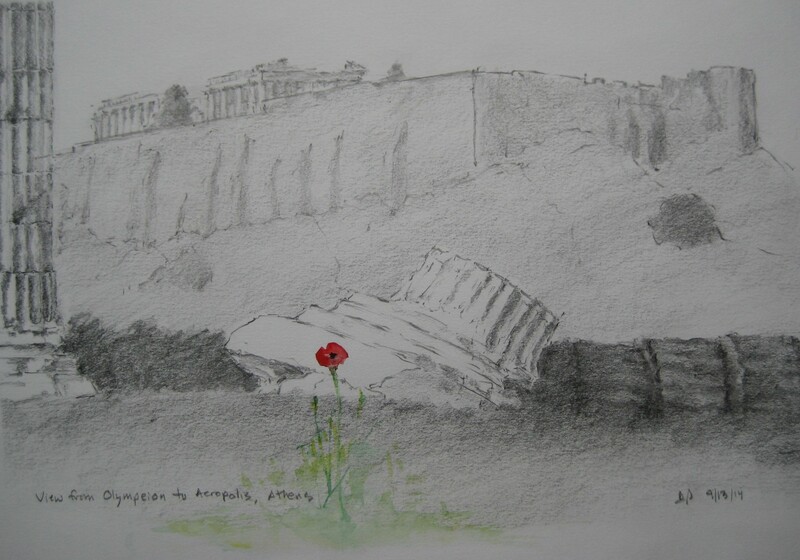 Tags: Acropolis, Ambassador David D. Pearce, Ambassador David Pearce, Art, artist, Athens, David D. Pearce, digital diplomacy, Greece, Greek, Maine, paintings, Public diplomacy, social media, Twitter, US Ambassador to Greece, watercolor, watercolors. Bookmark the permalink. I so enjoyed reading your post and am deeply impressed by Ambassador Pearce. I am so glad to learn that the US has such a thoughtful and yes, artistic, ambassador in Greece, one of the greatest places in the world. What a amazing person and artist is Ambassador Pearce! Thank you Keri for this wonderful interview! Great interview – great to see a diplomat speaking openly about his impressions and feelings related with his job and current placement. Beautiful art, beautiful impressions. And beautifully covered, as always, Keri. A big thank you to David Pearce for his sharing and to Keri Douglas for her writing – both, insightful and inspiring.